Ring Sun Machinery has more than 30 years of experience in the field of conveyor manufacturing and conveyor systems. Our professional design and R&D teams have vast experience in standard operating procedures and product quality control. They are able to consult customers as to which conveyor solution will best suite them, regardless of differing requirements, such as conveyor style, size, and framing material. They are also equipped to supply customers with technical solutions if needed. Ring Sun Machinery also manufactures customized products to better meet our customers’ requirements with regard to the handling of materials or removal of waste chips during the machining process. 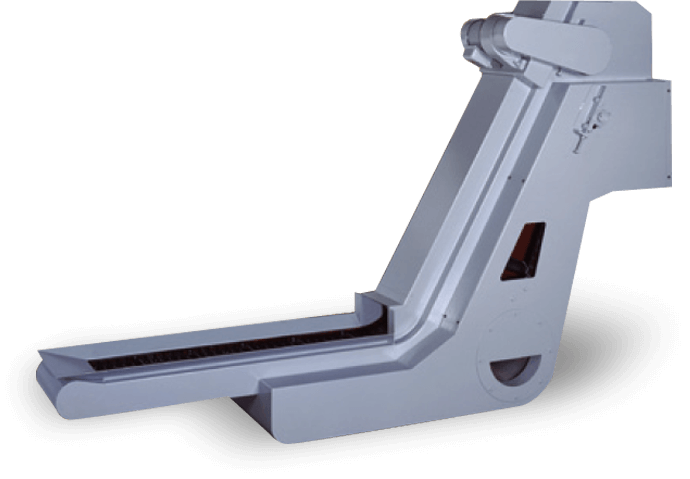 Our focus is on the R&D of surface conveyors, chip conveyors, and whole plant conveyor systems. These products can be applied to a wide variety of machine tools, such as lathes, machining centers, boring and drilling machines, and other industry related applications.